Video: TEDxEmory: Your DNA Does Not Define You. Video: Carine McCandless at the 2015 First-Year Experience Annual Conference. Video: Domestic Violence At Heart Of 'Into the Wild'. Video: The Wild Truth by Carine McCandless. Article: Does 'The Wild Truth' Tell the True Story of Chris McCandless? Carine McCandless said, “I often felt that I was living for the two of us as I found my own path.” Carine, sister of Into The Wild protagonist Chris McCandless, has played a vital role in the success of the celebrated book by Jon Krakauer. She also worked as a consultant and contributing writer to the film adaptation by Sean Penn. 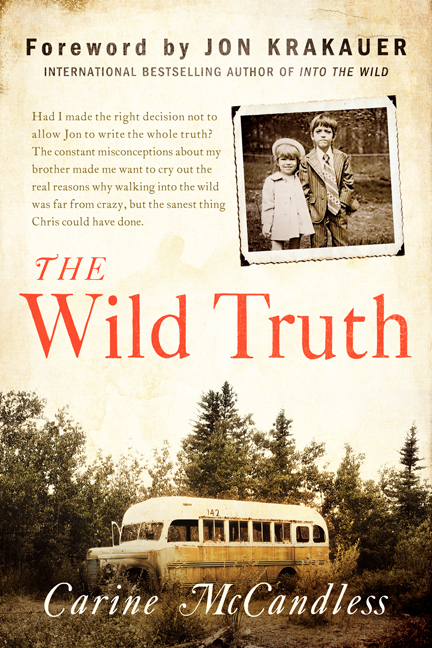 Growing up in the same troubled and volatile household that sent Chris on his fatal journey, she finally reveals the broader and deeper reality about life in the McCandless family in her best selling memoir, The Wild Truth (HarperOne). With inspirational themes such as the essentials of education and the journey from self-empowerment to success, Carine McCandless' story is a perfect fit for a wide range of audiences from universities to women's groups. 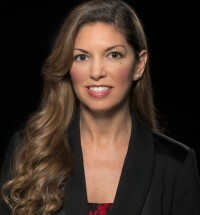 Self-employed since the age of nineteen, her extensive skills set also makes her a favorite at corporate events where her outgoing personality shines through poignant keynotes, connecting and motivating the workforce. As a mother of two children, one adopted and one with special needs, Carine provides uplifting presentations that focus on faith and inclusion to community associations and parenting groups. As a survivor of domestic violence in both her childhood and adult relationships, Carine brings her own understanding and personal experience to organizations working to raise awareness and advocacy. Carine's book is well-suited for common read and FYE programs at the high school and college level. With its positive and relatable life lessons, The Wild Truth is a valuable part of curriculum and can be accompanied by available teaching materials developed to assist educators. Additionally, Carine's academic lectures are customized to each campus program. While The Wild Truth can stand alone, it is a perfect companion to the established success of Into the Wild in the classroom and has joined Krakauer's book on many required reading lists, providing students and educators with a definitive understanding of the McCandless story. The Wild Truth, one of Newsweek magazine's Best Books of 2014, is expanding its reach with publication in six countries and counting. Carine has been interviewed by multiple national and international publications including Outside Magazine, Vanity Fair, The New Yorker, People, Good Housekeeping, and The Los Angeles Times. As well, she has had numerous appearances on NPR radio programs, PBS, MSNBC, The Oprah Winfrey Show, CBS Sunday Morning, and ABC News 20/20. Currently she resides in Virginia Beach, Virginia. "A gifted communicator, she is engaging, inspiring, and bracingly outspoken. Without question, nobody on earth is more qualified to talk about Chris McCandless than Carine McCandless, the little sister he so adored." "TEDxEmory is beyond thankful that Carine was able to speak at our conference. Throughout our interactions leading up to and during the event she was professional and friendly, an absolute pleasure to work with. She came prepared and gave an incredibly powerful talk. Following the conference I had several friends tell me that her words moved them to tears. " "The Wild Truth is an important book on two fronts: It sets the record straight about a story that has touched thousands of readers, and it opens up a conversation about hideous domestic violence hidden behind a mask of prosperity and propriety."